You are currently browsing the category archive for the ‘Mangaka’ category. 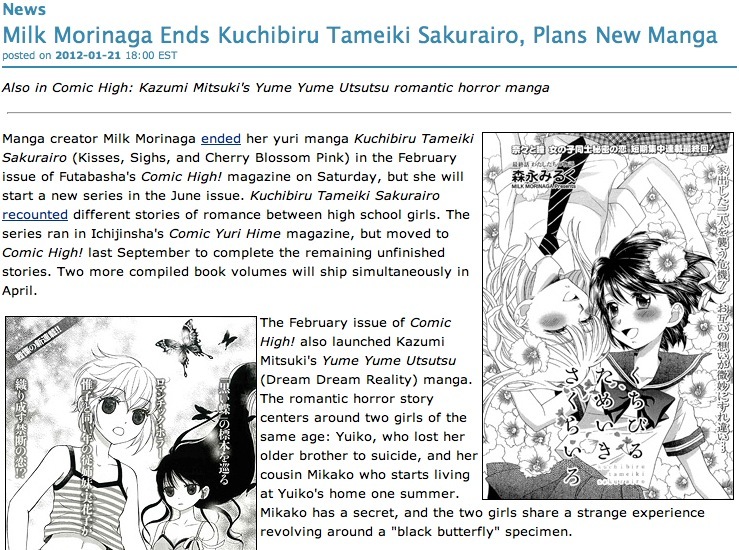 [manga] Milk Morinaga is ending Kisses, Sighs and Cherry Blossom Pink!!! For more information, please refer to Anime News Network’s article! [manga] Roundabout ~ Hiyori Otsu’s oneshot! This is a decent story by Hiyori Otsu but I wouldn’t say it’s her best! I do miss her character designs though!! They’re always so pretty. ^_^ Thank you Lililicious! [manga] Kisses, Sighs & Cherry Blossom Pink Ch 2 ~ YAY!!!!! YAY!! This is such a treat for a Friday night!!! More more MOOOOORE!!!! Thank you Lililicious!! [manga] The Secret Recipe Ch 6 ~ come and get your dose of Milk Morinaga!!! It’s been a LONG time since we got to see our President and little fan!!!! I miss them!!! I loooooove Milk Morinaga’s character designs!! The ex-President looked SO CUTE!!! *SWOON* I kind of liked page 10… hahahaha Thank you Lililicious!! 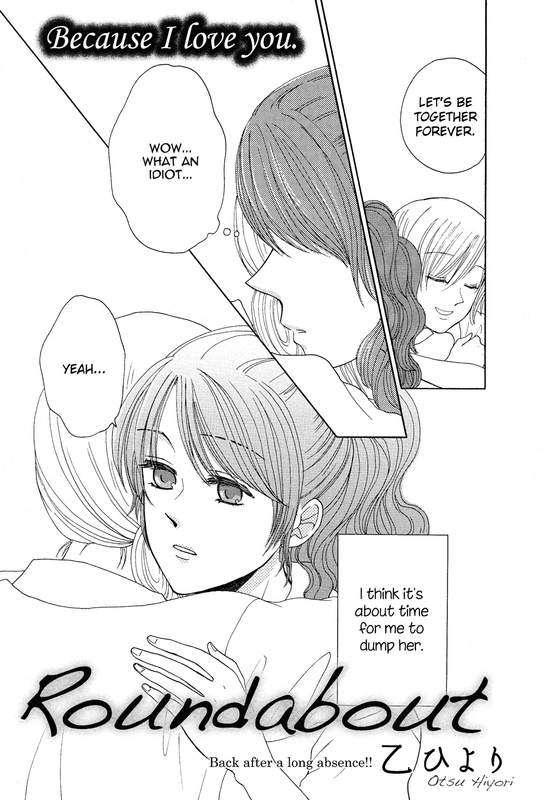 [manga] Milk Morinaga’s Nana & Hitomi’s story CONTINUES!!!! OMG!!!!!! Edit: OMG! I just read it!!!! I forgot how good Milk Morinaga is with creating AWWWW moments!!! LOVE IT!!!!!!!! OMG!!! THIS IS SUCH A SURPRISE!!! A brand new fresh chapter!!!! OMG!!! Must read for all the Milk Morinaga’s fans out there!!!!! I’m off to read it now!!!!! *SQUEEEEEEAAAAALLLLL!!!!! Thank you Lililicious!!! I forgot to mention, I wish I wish I WISH that the original volume, Kisses, Sighs and Cherry Blossom Pink, would come back into print! I’d be the first in line to buy it!!! [manga] Blue Friend Season 2 Ch 3 ~ it’s out!! Thank you Yurikai!! Thank you for all your hard work!! Please check this out guys! This is a yuri manga series that is definitely worth reading (if it’s anything like season 1)! [manga] Blue Friend Season 2 ~ a new couple!!! YAY!!! Eban Fumi has released a new series of Blue Friend!!! If you read the first season, then I gather you will pick this one up IMMEDIATELY! It’s a must read for me. Although the story might be a bit typical (high school) setting, the art makes up for it! Thank you Yurikai.com!! !